The Parliament of the United Kingdom (London). The United States Congress (Washington, D.C.). Plato, Seneca, and Aristotle in a medieval manuscript illustration. The Industrial Revolution, which began in Great Britain in the mid 18th to early 19th century, forever modified the economy worldwide. The clash of civilizations according to Samuel P. Huntington (1996), as presented in the book. Huntington's map of major civilizations. 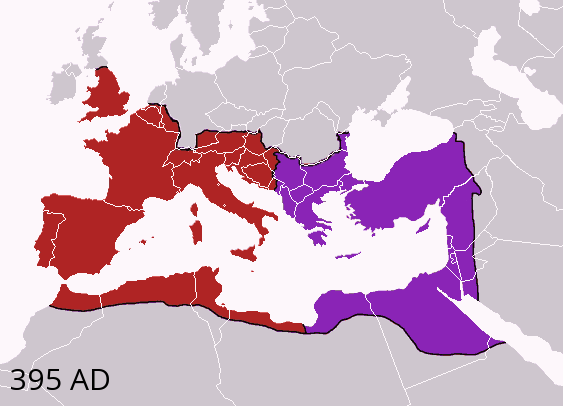 What constitutes Western civilization in his view is coloured dark blue, although he considers that Latin America (shown in purple) might be either an additional part of the West or a separate civilization akin to the West. Turkey, Russia and Mexico were considered "torn countries" that are either already part of the West or in the process of joining the West. Western world Facts for Kids. Kiddle Encyclopedia.